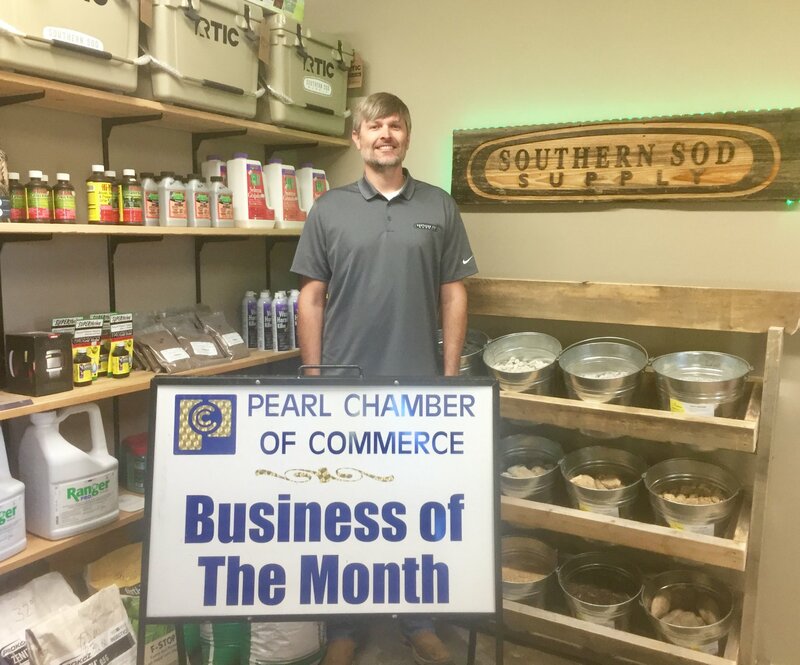 Congratulations to Southern Sod Supply for being selected as the Business of the Month in April! Southern Sod is locally owned and operated by Corey Sanders, a Mississippi State Grad with a degree in Landscape Contracting. Corey is a licensed contractor and he and his staff have a combined 50 plus years of experience in the industry. Southern Sod offers the highest quality turf available in the Southeast, including Zoysia, Bermuda, Centipede, St. Augustine and they are the only supplier of the very popular mini-rolls. They are the largest sod supplier in Central Mississippi and offer the best prices around on stone and drainage material. Southern Sod is well known for their great customer service and quick turn around. Pick up or delivery is available.They are located at 706 N. Bierdeman Road in Pearl. For more information call 601-939-2057.